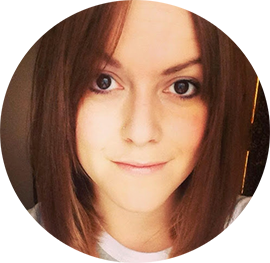 I've decided to do a blog post every now and again about a certain era, and the hair. How they wore it, and whether it's seen today in various guises. 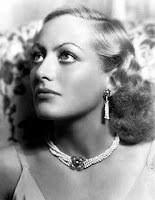 40's hair was more often than not parted to the side, rarely with a middle parting. Curls were a major element, hair wasn't really seen straight, curls signified the curvy and feminine nature, and with the introduction of women wearing trousers more commonly it balanced nicely. If wearing the hair up it was generally styled away from the face. Victory rolls, along with hats and accessories played a big part in giving women the glamourous look sported by Hollywood stars. Katharine Hepburn, Bette Davis, Joan Crawford, and Rita Hayworth. Stunning women, with great hair, and an inspiration to many styling their hair in the 40's and even today. Fashion revolves, as do hair trends. Ways of styling and ideas will be taken and sometimes reworked for today. Gwen Stefani, Kate Winslet & Reese Witherspoon have all taken the glamour from the 1940's and brought it back into the spotlight. What do you guys think? Something you'd like to see more of? Any era in particular you'd like to see or know more about? I just love the way 40's hair is so sophisticated... Very inspirational post. I had a 40's style pleat in my hair when I got married. I hated it at the time - I was a bit emotional anyway! But I really like it when I look back at my photos. 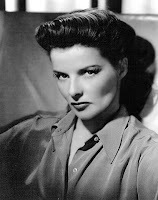 Wouldn't you die for Katharine Hepburn's bone structure?! I did a bit of a homage to Katharine Hepburn on my blog last week, she was so stylish and unique, true movie star glamour. Love the pictures. I snaffled a 1930's issue of Harpers Bazaar at a Car Boot, the styling and fashion adverts are awesome. Kel, you're so knowledgeable about this stuff! I ADORE 40s hair but have never gotten the hang of it. I'd love to put some set waves through the longer front bits of my hair, and I'd love even more to sport a gorgeous victory roll. I think they look stunning and the 40s is my all-time favourite hair era. Vix, I read the Katharine Hepburn homage just after I'd written this!! I had it scheduled (get me!) strange! Loved the KH look though, she was a stunner. I'm trying to get hold of some old prints and adverts about hair & hair products to put in frames around the spare room where I do my hairdressing! Jen, seriously get a waver, do it, do it now! It'd look fab on the longer length of your hair. I might try doing a post on finger waving as it's easy once you know how. Caroline, I want to see a pic!! I love looking at other peoples photos. Thanks for the comments all you lovely lot, can't believe I've got 40 followers - love it! i love the hair in these pictures, so chic! Hey kel, fab post! what a great idea. I love 40s hair and style too. My hair is really short but maybe I could give it a go with a few waves in the front. Your blog is fab and you give great tips and advice so Im not surprised you have so many followers already. I adore hairstyles from the '30's and '40's. Nice blog! Don't you just wish we had our own personal hair dressers at home to just fix our hair the way we feel like it everyday? Era hair or not! i love the soft waves of hair! I simply love this post! I'd love a tutorial! I think this might just have to be my wedding hair... one day.